I'm officially at that age where all my friends are either getting engaged or married - and 2018 shows no signs of letting up as I've already got two weddings on the horizon this summer. 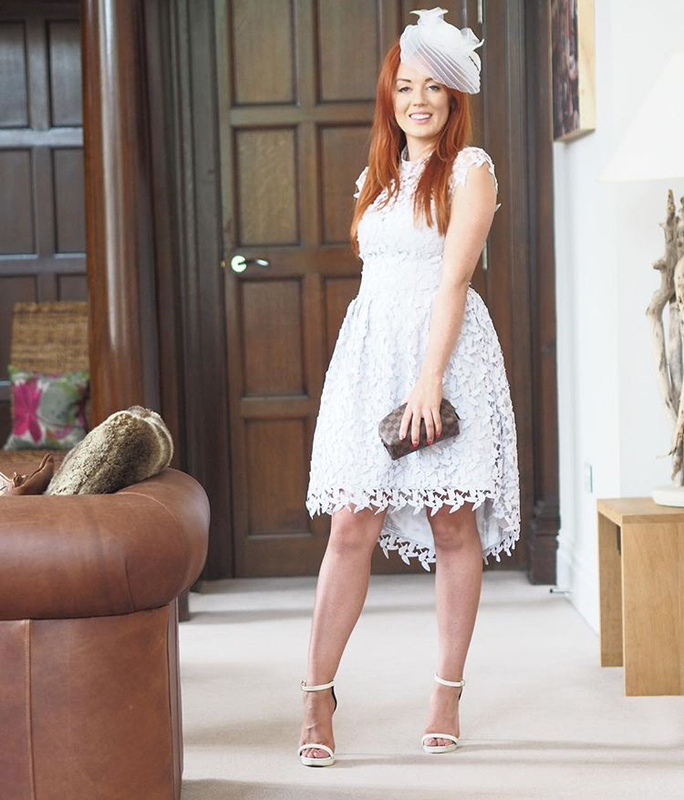 I remember the first wedding I went to was a bit of a panic of what to wear so to take the stress out of your outfit planning, I've put together a couple of tips on how to nail the perfect wedding guest outfit. I can't stress this one enough! Weddings always turn out to be super long days (in the best possible way) and often involve lots of standing up and moving from area to area, so you really want to wear something you can walk in! I always find wedges to be your safest bet. You can stand (and dance) in them for a lot longer and you also won't risk the sheer embarrassment of getting your heel stuck in the grass! Some of my friend's had flip-flops for all the girls to change into in the evening which was a genius idea - but if this isn't an option where you're going, you could always take your own! Bit of a no-brainer, no? 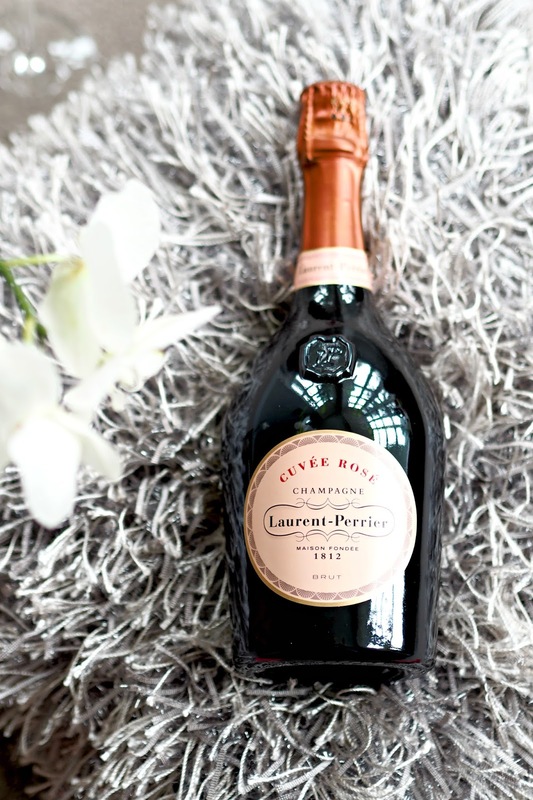 Just don't be that person - and definitely, don't try to upstage the bride! Pastel colours tend to be the most popular options for weddings but I think bright colours can work for summer weddings if you keep your accessories simple. You could even wear black and style it up with a bright bag and jewellery (just choose to do one or the other!). Because there's nothing more awkward than turning up looking like you want to be part of the crew! I'd say try to avoid anything in a similiar style and colour to be on the safe side! In the same vein as the last tip, try to search for outfits where others won't be shopping. If you buy a new dress from somewhere on the high street - chances are someone else is going to be wearing it! Depop is a great place to look for dresses. I've bought loads of outfits from designers such as The Dollshouse for a fraction of the price - and you can also sell your dress on once you've worn it. 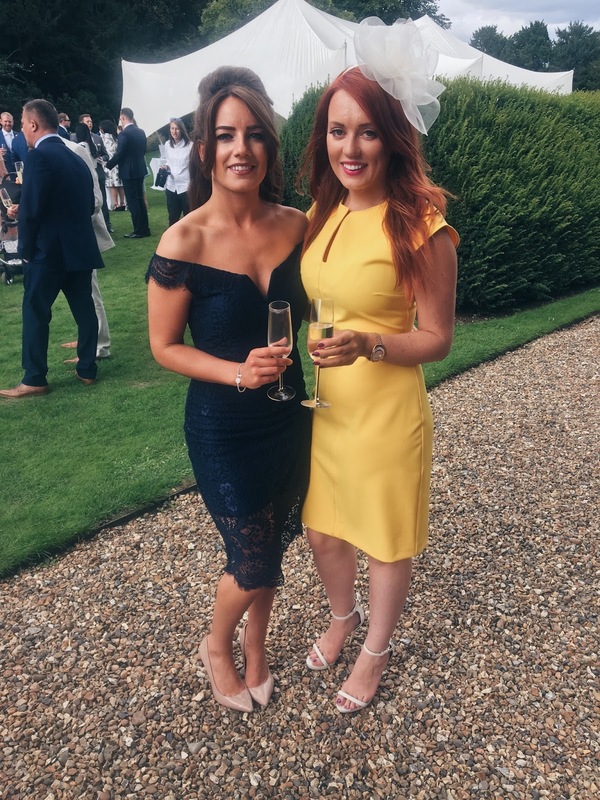 There's also the higher end of the high-street, places like Coast, Reiss and Ghost all have incredible evening wear which feels a little more premium - ideal for weddings. Once you've got your outfit sorted, don't let your make-up let you down! I'm a cryer so waterproof mascara is an essential for me - I promise watching one of your besties walk down the aisle to emotional music will break even the stoniest of hearts! It's also worth packing powder and lipstick in your handbag so you can stay topped up through-out the day. The last, but by no means least important, tip I leave with you is to invest in a spray-tan! If you're planning to wear fake tan to a wedding, do not wear instant. One of my friend's got married on the hottest day of the year last year and I had to endure the tan on my legs streaking due to the extreme heat (so attractive!). Do yourself a favour, learn from my mistake, and book yourself a sray tan instead! Hopefully you'll have found some of these tips helpful when you come to planning your next wedding guest outfit! Do you have any tips to add to the list? Leave them in the comments below! I LOVE this post girl! !1 I literally hate shopping for wedding guest outfits, always panic. But you have some fab tips here!! You would be surprised at the amount of people that rock up in ivory!! !